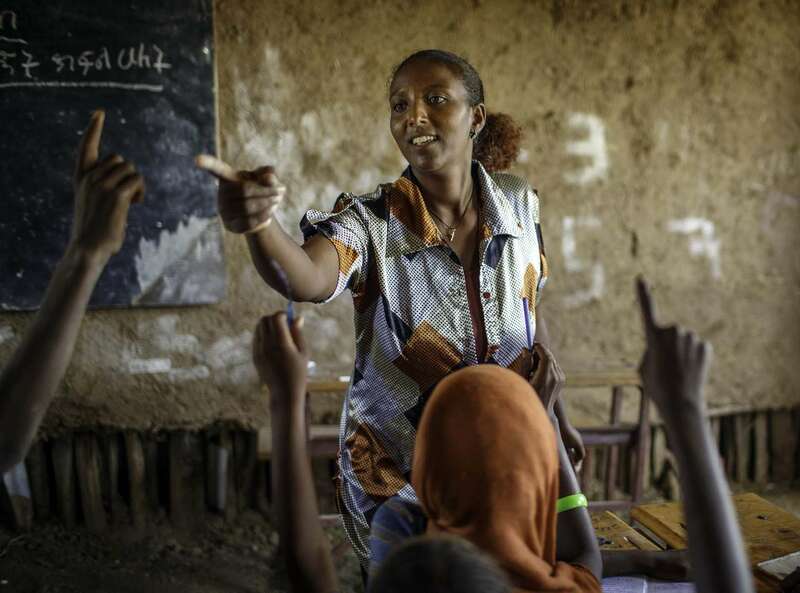 Bizuye Solomon, 26, teaches at Alula ABEC (Alternative Basic Education Center) for children of pastoralist in Afar region of Ethiopia Tuesday 8 April, 2014. Families of the majority of her students are pastoralists and move with greener pasture for their livestock. Thus ABEC, Alternative Basic Education Center is crucial for the education for her and her family.